Is a failure to offer a dedicated parking space a breach of the duty to make reasonable adjustments? Where a provision, criterion or practice applied by an employer puts a disabled person at a substantial disadvantage in comparison with those who are not disabled, it must take such steps as it is reasonable to take to avoid the disadvantage. An employer will not breach the duty to make adjustments unless it fails to make an adjustment which is “reasonable”. Mrs L has ulcerative colitis, which was accepted is a disability under the Equality Act 2010. The condition involves an unpredictable, sudden and urgent need to go to the toilet and can be aggravated by stress. Mrs L drove to work in her own vehicle. An Occupational Health (OH) assessment stated that she would benefit from a car park space to avoid the stress of looking for a place to park, which aggravated her symptoms. A dedicated parking space was provided to her. Further OH reports reiterated the need for a dedicated parking space. However, when Mrs L started work at a different site, she was not given a dedicated parking space. The employer has a policy that gives priority to staff requiring a parking space as a reasonable adjustment under the equality Act, although it appeared that the managers helping Mrs L were not aware of it. Mrs L requested the dedicated parking space on a number of occasions, but this was not provided. The employer instead allowed her to use an essential user parking bay (which was near the entrance normally used by Mrs L) if she failed to get a space near the building on a first come first served basis. This would require her to sign in with security when using the bay. She was also allowed to park in a layby near the offices in an emergency, although she would be required to move the car when she was able. Mrs L issued a claim in the Employment Tribunal of disability discrimination, complaining that the employer had failed to make a reasonable adjustment in respect of her disability. Mrs L argued that her condition required that she had easy access to a toilet in an emergency on arrival at work; and that a dedicated parking bay would reduce her anxiety which exacerbated her condition. The Tribunal found that Mrs L was allowed to park in any available space, wherever it was situated, which could be close to one of the buildings, all of which had toilets. She was also allowed to used the laybys, which were closer to the buildings and the toilets. She was also allowed access to the essential user parking bays, where there were likely to be spaces, and which were at Mrs L’s preferred entrance to the site. 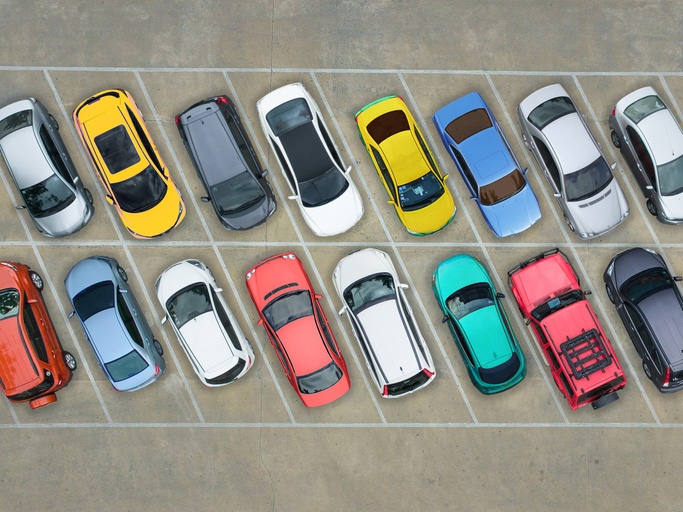 It found that the employer failed to comply with its own policy on parking space allocation, but that this policy was discretionary, not contractual. The Tribunal went on to find that the employer did make a reasonable adjustment, stating that “it may not have been the best and it was not what the Claimant wanted but it was sufficient for the Respondent to discharge its obligations to the Claimant”. Mrs L appealed to the Employment Appeal Tribunal. She argued that if there were no parking spaces readily available when she arrived at work, this increased her anxiety which in turn aggravated her condition. The EAT found that an adjustment recommended in an employer’s own policy is one that is likely to be a reasonable adjustment to make. As the Tribunal found that the employer was in breach of its own policy, this suggested that a parking space should have been provided. The managers’ ignorance of the policy was not a good reason for not applying it. The policy does not need to be contractual for an adjustment to be reasonable. The EAT also found that the Tribunal ought to have had in mind the particular disadvantage that is being relied on when deciding whether a step is reasonable. In this case, the disadvantage was the stress caused by having to search for a parking place. The adjustments that were made did not address that disadvantage, but addressed a different one of ensuring that Mrs L was parked near toilet facilities. Therefore, the adjustments made may not have been reasonable. The EAT sent the matter back to the Tribunal to consider the issue of reasonable adjustments. As the EAT noted, for any disadvantage, there may be a number of adjustments that could be made, each of which might individually be reasonable. An employer is not required to select the best or most reasonable of a selection of reasonable adjustments, or to make the adjustment that is preferred by the individual. The test of reasonableness is an objective one to be determined by the Employment Tribunal. “So long as the particular adjustment selected by the employer is reasonable it will have discharged its duty”. However, the focus must be on the particular disadvantage suffered by the employee when assessing the steps taken by the employer. Interestingly, the EAT noted that Mrs L was treated with a considerable degree of sympathy and consideration by the employer, and that it made many adjustments to accommodate her condition. These included changes to her role, reductions in her hours, locating her workstation close to the toilets, permitting a phased return to work after absences, providing regular breaks to use the toilet, discounting disability-related sickness absence and providing flexible working hours. However, the adjustment of providing a dedicated parking space, which had been requested by Mrs L and recommended in OH reports, had not been made. If you would like to receive monthly employment law updates and news of our events, sign up for our email alerts. Is an employer liable for an employee’s injury at a party? What is the cost of injury to feelings? Increase in compensation guidelines. Personal injury compensation for a failure to provide rest breaks?